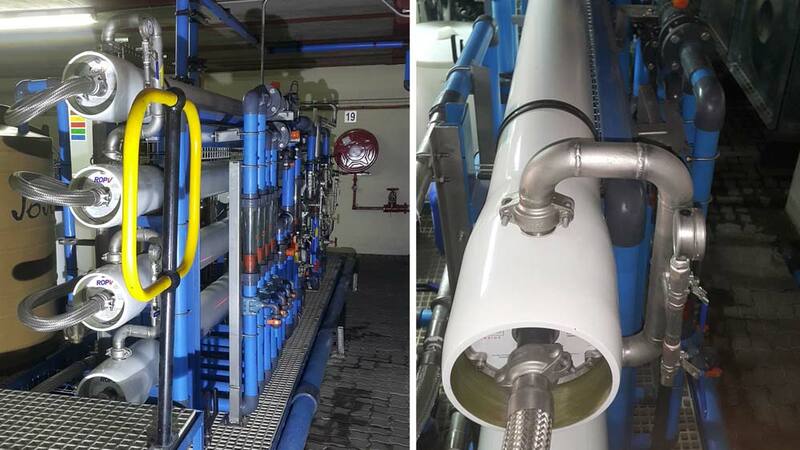 FlowCentric Mining Technology designed, built, installed and commissioned a 25m3/h borehole water desalination plant for Namib Mills in Windhoek. 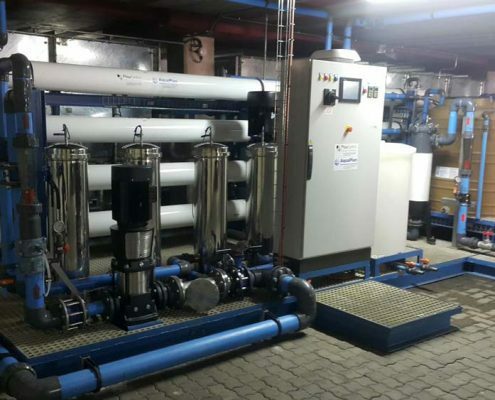 The Namib Mills Reverse Osmosis (RO) Plant went into full operation on 13 September 2016 following 11 weeks of unrelenting work by our team. The design philosophy was minimisation of costs without compromising quality. To ensure design accuracy, time was invested in feed water analysis. 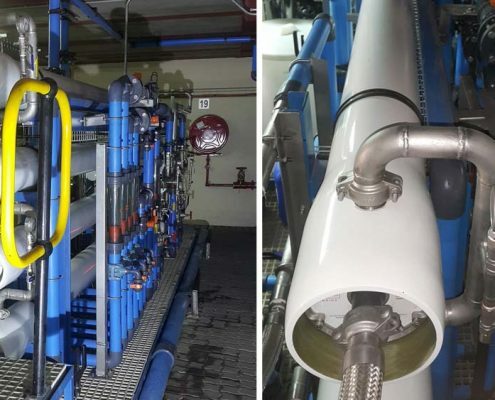 This enabled ergonomic customisation, which was critical due to the limited space available for installation, and stringent product water quality requirements given the client’s nature of business. Automation was an integral part of the design to minimise human intervention. 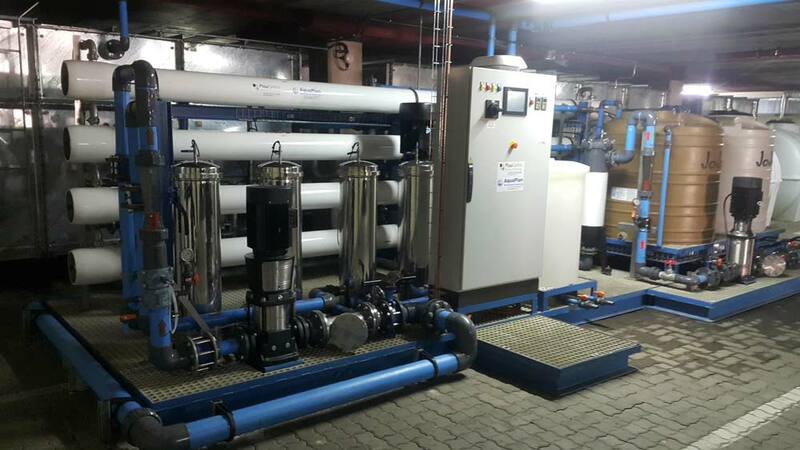 The whole plant runs off a fail-safe PLC program, that monitors critical parameters and give out notifications of any abnormal conditions. The PLC monitors feed and permeate levels, then cut-in or cut-out accordingly.